Open since 2015, Smile Makers Whitsundays serves our active community with a fresh approach to dental care. 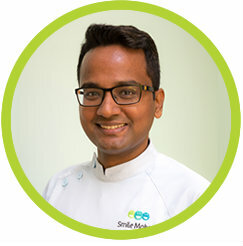 Principal dentist and practice owner Dr Prashant Kulkarni seeks to change the perceptions that many people hold about dentistry. You don’t have to be afraid of painful procedures at our practice; instead, you’ll feel comfortable and relaxed in the gentle hands of our team. We use the latest technology for your care, such as intraoral cameras, digital X-rays and the DIAGNOcam, which allows us to detect any underlying dental issues. We’ll then work to gently resolve your problem with the many services we offer, including general, cosmetic, restorative and emergency dentistry. Same-day appointments are available, and emergency care is available 24 hours a day. We keep your visits affordable and simple, with insurance accepted and flexible payment plans available. Call 07 4946 5007 or book your visit online now!